The present study aimed to identify and quantify the wild fauna that is struck by vehicles on the two principal roads that run through the Montes de María in the department of Sucre, Colombia. 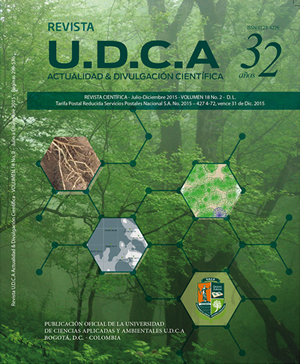 This study addressed some of the environmental problems that are affecting the dry tropical forest area that is still found in this Caribbean zone of Colombia. Between October of 2011 and March of 2012, encompassing the dry and the rainy seasons, on the roads between Sincelejo - San Onofre and between Sincelejo - Ovejas, 608 vehicle-struck or "road-kill" specimens were collected, which were identified to the extent possible (order, family, genus, species). A Fisher test and analysis of variance were used to analyze the data. The vehicle-struck fauna were found on the principal roads that run through the Montes de María in the department of Sucre in this study and had notable representation from the following: amphibians (Rhinella marina, Leptodactylus bolivianus, Scinax sp. ); reptiles (Leptodeira septentrionalis, Pseudoboa neuwiedii, Epicrates cenchria, Oxyrhopus petola, iguana iguana, Kinosternon scorpioides, Trachemys callisrostris); and mammals (Didelphis marsupialis, Tamandua mexicana, Cerdocyon thous), with a total of 253, 219 and 111 specimens, respectively. The dry season had more vehicle-struck specimens, with a high percentage seen on both roads, which may have been related to the scarcity of food in this season, forcing the animals to travel longer distances and cross the roads.